She is Safe | C'est La Vie -This is Life! Slavery. How do we end it? This question jumbled in my mind as I drove my red Zip car over the bridge to attend the Bay Area Freedom Summit, where I was an exhibitor for my art ministry Gifts of His Glory and She is Safe. It was my first summit on human trafficking and I was not sure of what to expect. I hoped to sell some art, as I give 50% of each sale to She Is Safe, to rescue orphans in China who have lost their parents from AIDS and are in danger of being trafficked and sold in child marriage. I also hoped to have some divine appointments. (meetings arranged by the Lord’s hand). As I set up my booth, other friendly exhibitors came and introduced themselves. I was surprised and happy to see that many safe houses for victims of human trafficking were being established in the Bay Area, such as Freedom House, and in other parts of the state. The Expo soon opened and people came up to my booth interested in the art and large banner of a chubby-cheeked Chinese girl advertising the China Aids Orphans project. I shared with those stopping by how I had come to be an advocate by reading the book Forgotten Girls by President of She Is Safe, Michele Rickett and my author friend Kay Marshall Strom. The book shares the stories of girls and women around the world who are rebuilding their lives after abuse and exploitation. The book has sections on steps you can take to stop exploitation, one being to dedicate your craft to benefit an organization involved in stopping trafficking. After reading the horrors of what happens to these girls and women especially in sexual slavery, I prayed and felt the Lord’s direction to dedicate my art to this cause. Another suggestion from the book was to hold a booth at a conference such as the Freedom Summit, and here I was now doing that very thing! Soon it was time for the general conference. I was struck by the stories how ordinary people became heroes as they took steps of faith to start organizations to help stop trafficking. I listened with compassion to women who shared their survivor stories of how they had been miraculously rescued from sexual slavery and how God was using their witness to help save others. I gasped in horror as I heard how little seven year old girls in India are strapped to a table and gang raped until they die. I cheered as the Department of Defense is now making it a punishable offense for any US soldier to frequent a prostitute or sexual slave. 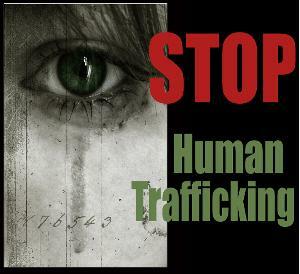 Put the national hotline for human trafficking on you cell phone 1-888-3737-888 right now as you read this blog! You can report any tip of suspicious activity or pass the hotline number along to someone you suspect might be a slave and help them get rescued. Who could be a slave? A nanny or domestic in your neighborhood, a restaurant worker at your favorite restaurant, that young girl visiting truckers at a truck stop, a carnival worker, or the women standing on a street corner as you drive by. They are all over. Over 3000 people trapped in slavery have called this hotline to ask for help alone. You can also call to connect with anti-trafficking services in your area or to request resources or training. 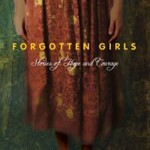 Purchase the book Forgotten Girls at SheIsSafe.org and while there sign up to their blog to stay informed on the global cause of human trafficking. Purchase a biblical Scripture painting from my website giftsofhisglory.com. (or by clicking on ‘my art’ above). 50% of each sale goes to the China AIDS orphan project. Bless yourself or gift others in your life with an original piece of art embossed with Scripture. It’s easy and safe to shop online and I ship worldwide! Join a She Is Safe advocacy group to participate in fundraising and prayer to rescue and restore girls and women in the hardest places like China and India. Contact info@SheIsSafe.org to find one in your local area. If you live in the Bay Area, I am hosting one in my home in San Carlos on a monthly basis where we will also be studying the books Forgotten Girls and Daughters of Hope. Contact me at miraim@giftsofhisglory.com. Purchase and consume only Fair Trade Products that are made with no enslaved labor. To my dismay I discovered chocolate was. And coffee. And clothing. Find ratings on products and brands you buy at free2work.org. Discover how many slaves work for you and what you can do about it at slaveryfootprint.org. Free one girl and help her to build a new life at $365 through SheIsSafe.org. Attend a conference in your area on human trafficking and become educated. Get involved in one project in one part of the world. Just start somewhere. Once back in my booth, I was blessed to do my first radio interview with KLOVE, the local Christian radio station. 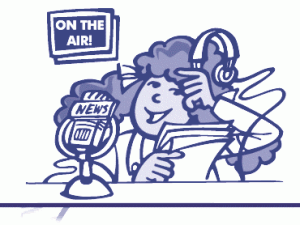 What fun I had sharing my story and getting a plug in for my prepublished bookas well! A videographer approached my booth and filmed me for a documentary on how high school and college students could use their gifts and talents to help stop trafficking. WOW! My art work was admired, many people took my business card and I sold some paintings, all in all, an educational yet saddening experience. What the Lord most impressed on my heart during this conference was that I, too, was a survivor of sexual abuse and while I didn’t have a voice back then as a child, I now was able to be a voice for those trapped in sexual slavery today. A voice for the voiceless. What a gift. I have come full circle in my healing. 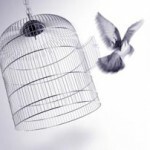 If you are a victim of any kind of slavery, please leave me a confidential reply and I will help you find freedom. Please LIKE or TWEET below and share this post with your friends to get them involved. Blessings, Paintings and Spooks…Oh My! Halloween is not a favorite holiday of mine. I hate how it celebrates the Devil and his works. Every week right before Halloween I feel the intensified evil in the air as witches and satanists do their ritual sacrifices in the forest areas around my home. Spooky ghosts and goblins decorations on nearby homes sends a shiver down my spine. So this week I am celebrating how God used this season to glorify Himself. It started Thursday night. Excitement was in the air as Michele Rickett of She is Safe, the ministry I advocate for, came to speak at my church to people who were interested in hearing more about human trafficking. I was invited to show my art, as a percentage of my art goes toward the work they are doing in China with Aids orphans. These are precious little girls who have lost parents to Aids and are in danger of being trafficked. I call them ‘my girls’ as in “gotta sell a lot of paintings for my girls” and “Lord please bless my paintings and bring people to buy them for the girls” and “oh goody, sold another painting, more money for my girls.” I get so excited and can’t wait to make the donations via their website SheisSafe.org. Michele’s speech was great and we had a good crowd. As I stood in front of the group, I shared how my goal as an advocate was to rescue one girl and support her for one year. I imagine one little girl in East China around 6 or 7 years old, malnourished, living in poverty and unwanted because she is a girl. She is vulnerable to being sold in child marriage by her family or to a trafficker and then brothel. Purchase a Scripture painting on my website giftsofhisglory.com. What says unique gift more than an original piece of artwork with Scripture in it? (think holidays around the corner) $50 of each sale will go to help ‘my girls’. That’s 50 days of her being ‘safe’. 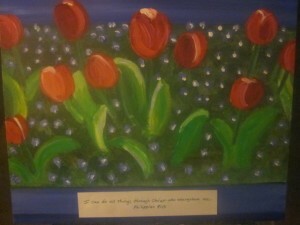 Forget Me Not Tulips Philippians 4:13 "I can do all things through Christ who strengthens me"
Donate money. Visit She is Safe’s website and click on donate. What I love about SIS is that you can donate directly to a specific work or area of the world via their work page map. So if you have a heart for helping former Muslim women in Indonesia learn a trade and become self supportive or want to reach out to children in India being tutored and taught about the love and value Jesus has for girls, visit this page. Become an advocate like me. Click on Advocacy for ways to get easily involved. Consider hosting a Village Gathering party, where you host a group of friends in your home and sell jewelry made by rescued girls that goes to support them in their new lives in Jesus Christ. Or organize a Run to Rescue to raise money through a walk or run sponsored marathon. Better yet, get your children involved at home or in your Sunday school or classroom by doing Read to Rescue, raising money by reading books, yes reading books! Subscribe to their blog and keep yourself informed on what is happening in the world of abuse and exploitation of women and the wonderful work SIS is doing. Then pray regularly for their work. You can also read the interview they did of my art ministry Gifts of His Glory. LIKE and TWEET this post below so your friends can hear about how they can help too! I recommend She is Safe because I love how they PREVENT girls from being abused and trafficked into sexual slavery. Won’t you help through one of the above ways and make a difference in these precious children of God? They are suffering in the worst possible ways and are crying out to God and someone to help them. Thank you! The Holidays are here…Come see my Scripture art! Fall Lancaster Tree Ecclesiastes 3:1 'For everything there is a season and a time and purpose under Heaven"
The Halloween decorations are up and the Christmas ornaments are on display, yes it’s that time again, THE HOLIDAYS! However, this is good news for me. I look forward to the holidays as it is a time to feature my art in person and help sell it for a good cause. Here’s your chance to see my art in person: My biblical Scripture Art will be for sale at my church, Abundant Life Christian Fellowship in Mt. View, California on October 27 and 28th after each service. (call for times 650 625-1500) This is a fair that partners with Heavenly Treasures which sells arts, crafts and jewelry made by women and girls who are rebuilding their lives from trafficking, abuse and poverty. It is a great place to come and do all your holiday shopping in one stop! I have dedicated my art to supporting ministries that help victims of human trafficking. I donate my paintings to these ministries for their auctions at their galas to raise money. I also have committed to donating 50% of each painting to She is Safe, an international ministry that prevents and rescues girls and women from slavery and exploitation in the hardest places of our world, like India, China and Africa. They work to stop child marriage, female genital mutilation, selling girls into sexual slavery and infanticide of girls, to name a few of their wonderful deeds. I am an advocate for them here in the San Francisco Bay Area and will be starting an advocacy group on the Peninsula where we will study God’s heart for exploited girls and women, pray, and raise money for a cause close to my heart: orphaned girls in China whose parents have died from Aids and are in danger of being trafficked. I ask you this holiday season to consider a purchase of a Scripture painting to be a part of God’s answer to the work of rescuing these girls and women from the darkness in their lives, allowing the love and light of Jesus to shine in. 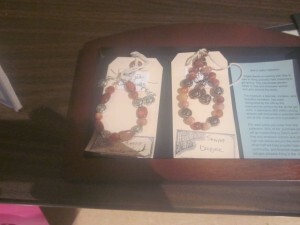 Come on out to the holiday fair if you can or you can shop online at www.giftsofhisglory.com. I ship anywhere in the USA and beyond! Remember each painting has a Scripture to bless the viewer whether if is hanging in your home, office or classroom. God’s Word will not return to His void. (Isaiah 55:11). And they make wonderful gifts for that seeking friend or family member. (I know some of you are saying “Miriam it is hard to see what the paintings really look like online. I am afraid if I buy one I won’t be happy.” Well, I assure you the paintings are more colorful and pretty in person! I have a seven day return policy for any reason. I will refund your money, minus the shipping fees. Just ship it back to me. The Scripture references in each painting are hand printed in gold or color metallic ink by me. Each collage includes textured paper, making them two dimensional). Let’s remember those less fortunate than us this Holiday Season and bless them with the love of Jesus, as after all, He is the reason for the season! To view my art, go to ‘my art‘ above or click here. Will you LIKE this post and help spread the news of my art and advocacy ministry to your friends and family? New Press! Read how you can use your passion like I did to make a difference! Great things about writers’ conferences: we learn, we share, we network, we gather ideas, we meet new people. One of the people I met at Mount Hermon Christian Writers Conference last spring was Miriam Sarzotti. 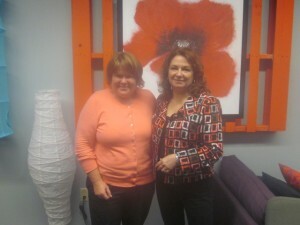 I invited Miriam to join us and talk about the way she found to promote her passion. Welcome, Miriam. When I first met you, I was immediately impressed by your passion. Tell us about that. First and most important, I am passionate about my faith in God. I do have a particular heart for Israel and the Jewish people. And I love Israeli ice cream! My most tender passion is being a voice for the voiceless who are trapped in sexual slavery. I’m doing that through my art, writing and advocacy ministry. Ah, yes. That’s where we really connected. How does your art meld with your passion? You have recently become associated with She is Safe (SIS). Can you tell us about that? At the Mount Hermon Christian Writers Conference, you shared your heart with me for SIS. Then I read your books Daughters of Hope and Forgotten Girls. With my heart broken for the young girls in sexual slavery, I prayed and felt led to donate 50% of all my art sales to the work that SIS is doing around the world. Now, I am an advocate for them here in the San Francisco Bay area. Those two books you mentioned, which I co-wrote with Michele Rickett of SIS, changed my own life. When I wrote Daughters of Hope, it was difficult to find a publisher. Everyone told me, “Americans don’t care about anyone outside their borders.” I am so, so glad to report that we absolutely do care! Miriam, you are also writing a book. Can you tell us a bit about that? Yes! I am writing my first book of my memoirs that includes my time as a missionary in Israel. My goal is to bring hope to others by showing them how the redemptive love and power of Jesus healed my life from trauma in childhood and on the mission field. It offers self-help sections to show how He can heal your life too. 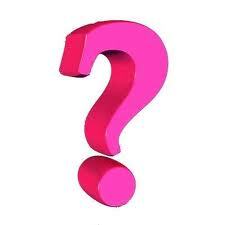 What words of wisdom do you have for people who are looking for a way to make a difference? That just may be! Any last message for us? Please visit my website. If you purchase a painting, it will help rescue girls in slavery and abuse. It is one small step you can take to make a difference! The paintings make lovely gifts for home or holidays. 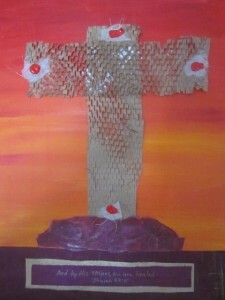 View my artwork at www.giftsofhisglory.com. Keep up the Good Work Miriam! journeys on her blog at www.giftsofhisglory.com/miriamsblog. Please come follow me! We are thrilled to see artists using their gifts to free and empower enslaved women and girls. Miriam Sarzotti is an artist and writer who learned about SIS and decided to dedicate 50% of the income from her sales to the work. When did you begin painting, and what role does it play in your life today? I began painting at the tender age of 3! There is a picture of me at the easel in nursery school, with my paint-spattered apron on, painting away. How did you connect with She Is Safe? I met Kay Marshall Strom at a Christian Writers Conference in northern California when I took her “Write with Sizzle” class. I saw her books, Daughters of Hope and Forgotten Girls in the author’s bookstore, co-written with SIS President Michele Rickett. 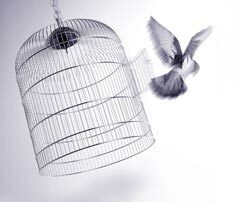 It intrigued me to read about other women in ministry around the world who were being persecuted. 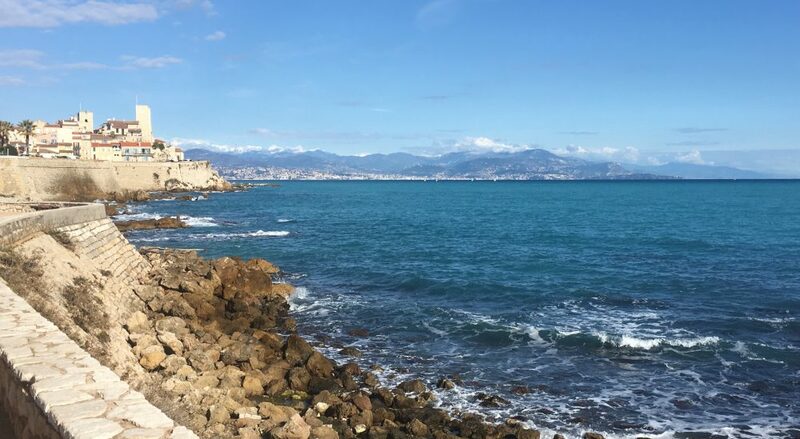 I had served as a Christian missionary in Israel and knew persecution as a messianic Jew in Israel, as well as the persecution of Arab Christians in Israel. When I returned home, I read Forgotten Girls, and my heart was broken for the girls and women trapped in sexual slavery. We love your idea of creating and selling artwork to help SIS work around the globe. Where did this idea come from? After reading Forgotten Girls, I had such a burden for your work. I prayed and asked the Lord what I could do to help. I was praying for a new vision and purpose for my artwork at the same time. His answer was for me to dedicate the art ministry to Christian ministries dealing with human trafficking through donation of paintings for their auctions and fundraising venues. In particular He directed me to give 50% of my sales to SIS and your work around the globe and to become an advocate for you here in the San Francisco Bay Area. Do you think that working for this cause will motivate you or influence your art? Yes it will motivate me! I have a particular heart for the orphaned child victims, and as I paint, I imagine how the money from the painting will go to help rescue them. 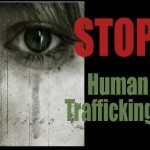 I know I am doing my small part to end this horror of human trafficking. I am also motivated to attract a Christian art merchandiser to turn my art into posters, greeting cards and such, bringing donations to SIS. Is there anything else you would like to share with the SIS family? YES! I am currently writing my first book on my life experiences including the trauma I experienced, both in my childhood from sexual abuse and on the mission field in Israel, and how the love of Jesus Christ healed and restored my life. I am blogging on my writing and art journey’s on my blog www.giftsofhisglory.com/ miriamsblog . I am working to start an advocacy group on the San Francisco Peninsula for SIS work. We will study Forgotten Girls and then raise funds for selected SIS work. We will begin meeting in early fall, so anyone who lives in the area and has interest can e-mail me at miriam@giftsofhisglory.com. 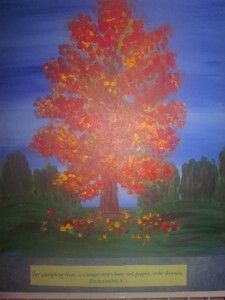 To look at or purchase Miriam’s artwork, learn more about her story, and follow her writing, you can visit giftsofhisglory.com. If you have ideas for how you can put your gifts to work t0 help free and empower women and girls, leave a comment or drop us a note at info@SheIsSafe.org.